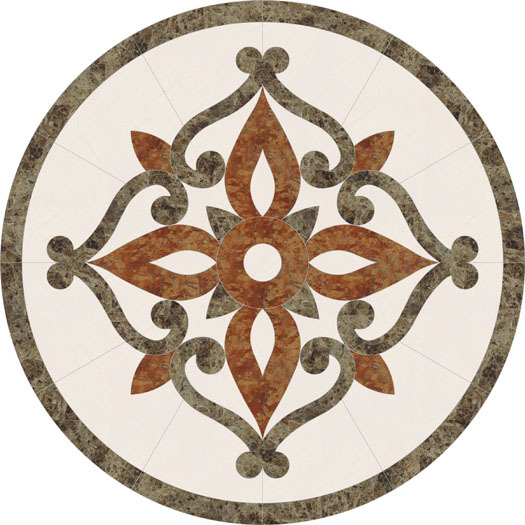 � Medallions can be made as shown above, or with your own stone selections. � All medallions are cut from 12� x 12� x 3/8� tile. Cut lines will vary depending on size of medallion. � Natural stone varies in color and veining. Color and veining differences are not considered defects. Samples, pictures, or printouts are only examples of what the medallion may look like. All designs © Copyright 2004-2019. All rights reserved.